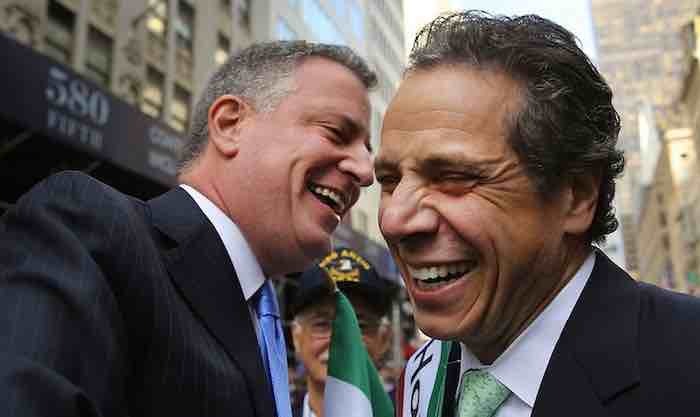 Commonsense & Wonder: New York has long being the Mecca of Marxism:Venezuela Now! New York has long being the Mecca of Marxism:Venezuela Now! My late father had the privilege of living in a socialist paradise, Stalin’s Soviet Union. He had many stories of the wonders he saw. Unfortunately I was young and stupid and did not record all of them. He could go on for literally hours, and I thought I would have a father forever. I remember only four, which I will relate. For while Liberals refuse to acknowledge an objective past, Conservatives carefully learn its lessons. Comrades trying to survive a brutal Russian winter were not provided enough wood to keep themselves warm. A beautiful new wooden fence was built, slave labor of course. At night everybody passing by would, under penalty of death, remove a plank. The piece of wood provided enough heat to keep them alive a little longer. Soon the fence was gone. Toilet paper was too good for the comrades. My father’s family, his parents and siblings, were already exterminated by the Germans (with the complicity of all of Europe) by this point. He was with his closest living “relative”, an uncle by marriage. Paper in any form was not available, but the official communist writings, attributed to Stalin, were sold very cheaply. This man got the idea to buy a bunch of these pamphlets and use them as toilet paper. Except the authorities got suspicious why he was buying so much. They called him in for questioning, Of course if the true reason came out, he would be executed. Using quick wits, he said he bought them to distribute to children and survived. The town had a minor league bully who would extort people for money. One day the NKVD (the secret police) came, apprehended him, and took him to the town square. They forced everybody in the town gather around, They made him kneel, a policemen put a gun to his temple, and blew the violator’s brains out with everybody watching. A valuable lesson that in socialism only the government is allowed to steal. The body was then thrown in a truck, and the NKVD went on its way. Under Stalin everybody had to have a portrait of the beneficent leader in their home, a shrine. (communism is not atheistic, it just has, well, a different God from the Judeo-Christian one). A little child not knowing better scribbled on the picture of Stalin. The police took the child away for execution, and the parents were afraid to ever speak of the child again. This is the future of your children and grandchildren in Ocasio-Cortez’s “peoples republic”. We are rapidly heading toward being Venezuela. Of course some states will arrive there sooner than others, and the first will be New York State, which is dominated by New York City, AKA the festering third world Marxist sewer. In the years roughly from 2008 to 2012 , I attended many humanist events. There I was among New York City’s “cultural elite”, lawyers, professors, programers, engineers, executives. I learned a lot of things, like Stalin was a great man, and it was the Soviet Union that defeated Nazi Germany, the United States having nothing to do with it. And Palestinian terrorists, er, freedom fighters, should be admired for their courage in fighting the Zionist occupier. Especially admirable were suicide bombers. Most of all I heard what a great man Hugo Chavez was, the greatest man alive, and that Venezuela was the model nation for the world, superior to the United States in every way. Basically what was being taught in colleges. New York has long being the Mecca of Marxism. For example New York’s congressman from the South Bronx, Jose Serrano, an ally of Chavez, is self-admitted “to the left of the left,” and praised Fidel Castro as a “great leader. ” However from 2015 to 2018, Republicans controlled the New York State Senate and were able to prevent the most egregious Castro style bills from passing. But since the November 6, 2018 election debacle, it is “democratic socialists” in total power in New York State and it is Venezuela full speed ahead. Some of the travesties now enacted as law are “congestion pricing” in Manhattan and the ban on plastic bags, plus a 5 cent tax on paper bags. Motorists will have to pay up $25 dollars for the privilege of driving in Manhattan (the very north of Manhattan, which is really South Bronx, may be exempted), in addition to the already $15 tolls to enter “fun city”. But this will not only tax the “capitalist exploiters of the masses” who can still afford cars in this hellhole. Everything is delivered by truck, including food and other essentials. The increased costs of delivery will be passed down to consumers, drastically and instantly increasing the prices of all goods. Plastic bags!? The proletariat only deserve to carry their moldy bread in their bare hands. By 2030 all waste in New York State will have to be recyclable. No longer will anything be disposable, just like in the middle ages. Fitting, as by then Sharia law will reign. I am going to die in this God forsaken hell, but everybody with still a few dollars to their name is going to flee. I mean God forsaken literally. I do not believe a state and city can elect those of the ilk of de Blasio, Cuomo, Ocasio-Cortez and Speaker of New York City council Corey Johnson (google him) unless they truly have forsaken God. And all those who have the ability to, will forsake this state.